I didn’t make this week’s TWD recipe, Thanksgiving Twofer Pie, but lots of people did, so check out the TWD site if you want to read about it. Not everyone in my family enjoys pumpkin and/or pecans, so the pie was definitely out. Instead, I made individual meringue shells, filled with pastry cream and topped with strawberries that I picked in June and froze. Sounds delicious, right? Well, the strawberries and pastry cream were delicious, but the meringue was the consistency of salt water taffy. It seemed dry and crisp when I took it out of the oven, and then I carefully stored it overnight in a sealed plastic container and the next day it was like rubber. At least it tasted good, but I was going for more than that. 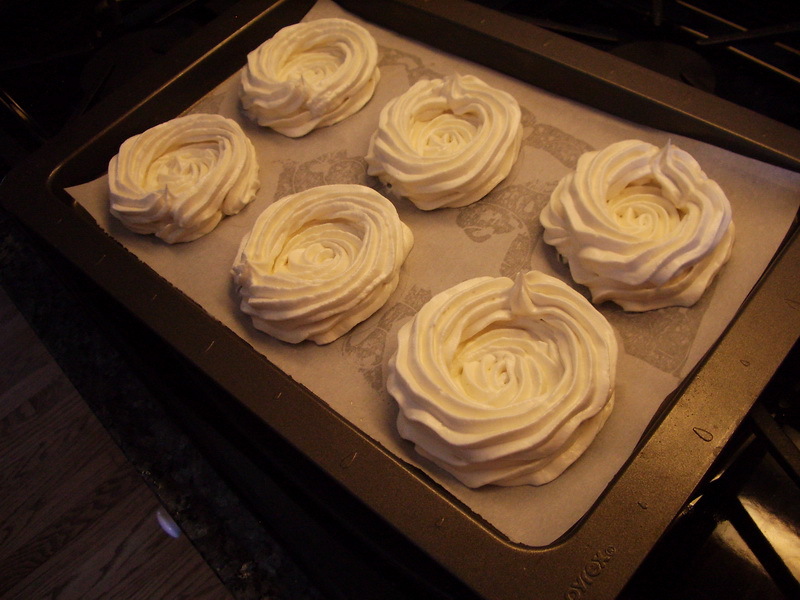 If anyone has meringue tips, please pass them on! 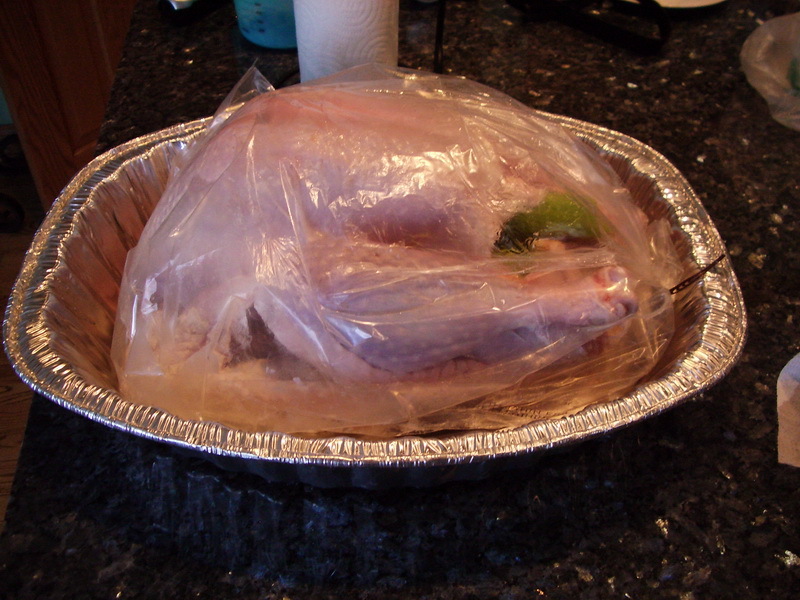 Here are some pictures: first, the infamous meringue (before baking) and then the turkey ready to go in the oven. This was my first turkey! I used a Reynolds Oven Bag and it turned out really moist and tasty. Things got a little hectic, so I don’t have any pictures of the cooked turkey or the plated desserts.